"The beauty of Star Wars is its ability to sweep you up in the moment in a dazzling flurry, defying your expectations of cinematic experiences, and leave you quaking in its wake, hungry for more; 'The Force Awakens' does just that." 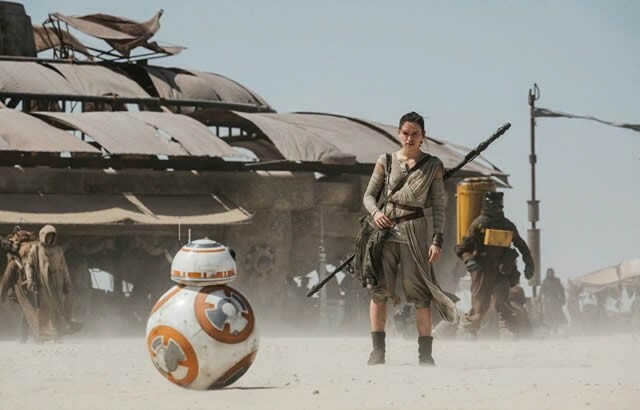 Let’s not beat about the bush: The Force Awakens is a straight up triumph in every aspect a fan could wish. Walking out of the cinema, shaking, struggling for words, but with the strongest undercurrent of satisfaction coursing through my veins, I feel like no other film will ever emotionally enthral me in such a way again. J. J. Abrams has extinguished the dry, stale, history-book like exposition and explanation of the torrid prequel trilogy, and craft an affectionate, dazzling, and emotionally staggering display of drama, humour and raw unabashed spectacle. This paragraph should be devoted to the story, but for spoilers’ sake we’ll keep it to a minimum. It’s 30 years since the Rebel Alliance’s victory on Endor, a New Republic has been established and a faction of the broken Empire has become the First Order. John Boyega plays Finn, a First Order Stormtrooper who makes a rash decision, and winds up meeting Rey (Daisy Ridley) in the deserts of Jakku. This meeting triggers the spectacular events that follow, and the anger of Adam Driver’s Kylo Ren. This is a film for the fans, plain and simple. The story arc brims with emotional resonance and the grounding nexus of family conflict, which the original trilogy explored. There isn’t a Jar Jar, mediclorian or wooden line in sight. The opening scene alone washes the prequel memories away with adrenaline injected humour, shock and awe in the first five minutes. The instant Finn and Rey are introduced we know their story is worth our time. Abrams and co-writer Lawrence Kasdan hit the nail on the head with their story direction – there’s so many little hints, nods and acknowledgements to the original trilogy’s story; and if you were to pick at it, there’s similarity between the arc of The Force Awakens and the original trilogy – except a true fan won’t care. It’s done with such love and consideration that any similarities can be forgiven. It takes George Lucas’ ideas and uses them for its own direction, embracing the new generation of characters and applying the Star Wars magic to them. This brings me to the newly christened cast members, and by the power of the force, what spectacular stars have been born. Let’s start with John Boyega, who provides the majority of the comedic, Han Solo-inspired archetypes that balanced Princess Leia and Luke Skywalker’s sincerity. He’s on the run, searching for a life that’s as far away as possible from the First Order, using his charms to sweep himself through some difficult scenarios. Whilst his chemistry with Harrison Ford and Ridley feels wonderfully nuanced, it’s his work with the sweetest new addition to the cast, BB-8 – an astomech ball droid – that gets the most laughs and beaming smiles. It is Daisy Ridley however who completely entrances the centre stage, and with her character Rey, Abrams has createc a spectacular female heroin that will have equal rights campaigners (and everyone else) dancing in the streets. When we first see Rey, she’s sliding down a huge sand dune on the doorstep of a star destroyer wreckage, gliding off to her local tradesman who gives her a measly small meal for the scraps she’s collected. The second she’s on screen you’re with her. There’s a lot of questions surrounding her past, and the mystery only increases her likability. Her story progression, interplay with Solo, Finn, BB-8 and Ren are pure character necromancy – she’s strong in the face of the dark side, charismatic with friends, driven with her emotions and commitments, and Ridley’s performance never puts a toe in the wrong. Watching her character is remarkable. 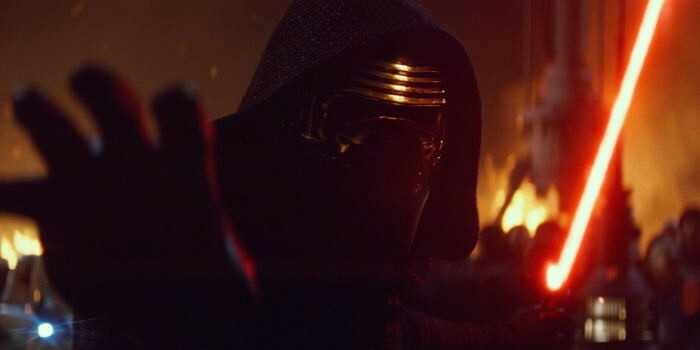 On to Kylo Ren, who is a sumptuous, well-rounded, dynamic villain. The character’s ethos is conflict and instability – he’s not technically a Sith, but is unfathomably attracted to the dark side of the Force. He’s not a standard hard as nails nemesis that appears to have limited weaknesses; Ren is full of them, particularly prone to thrashing his self-constructed lightsaber around when the Resistance gains a victory. Adam Driver feels like the perfect actor for such a role, and occasionally when he reveals his face, the fear of his power and how little he can control it escalates. In essence, Ren echoes the sentiments of what George Lucas wanted Anakin Skywalker to go through during the prequels, except Driver makes Hayden Christensen look about as menacing as Taylor Lautner. Ren is a villain grounded in humanity in multiple dimensions; he’s a fascinating case study of the corrupting effects of insecurity. I’ll put it out there now: award recognition for Ridley and Driver would be highly deserved – you heard it here first. The beloved returning stars also leave their mark, and no one will feel (very) short changed. 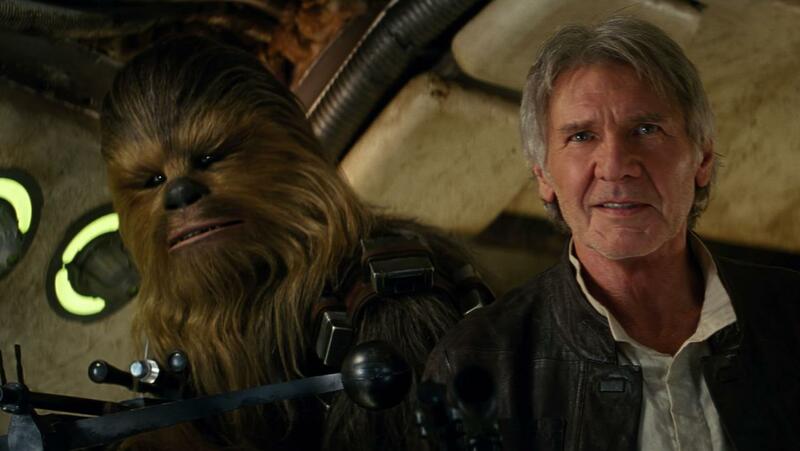 Prominence is with Harrison Ford’s Han Solo and his fury friend Chewie, and Ford actually looks like he wants to be there, channelling a grizzled charm, which still bares the traits of his mischievous younger self from the originals. Princess Leia, now referred to as General Organa, still remains the calming sincerity, grounded by morals and a perfect balance for Han. In the packed cinema, when a classic character made their screen debut, cheers and applause followed, it was a very special moment. Other returners like C3PO, R2-D2 and a smattering of others are more of a side-line commodity, but no character feels shoe-horned in for the sake of it. These wonderful characters add to the fundamental principle which Abrams adopted with The Force Awakens: emotion over exposition. When boiled down the film only hints to the scenario we find ourselves in, and that works, for the fans will know the ins and outs of the galaxy, the relationships, the Force, and the story arc, and no newcomer really needs to know which trade route was taxed to start a war. Abrams gives us the world we’ve been craving without over indulging in every minute boring detail of why what happens, happens. Forever a cynic could sit down and meticulously pick apart the story and motivations, but that would simply be viewed as petty. 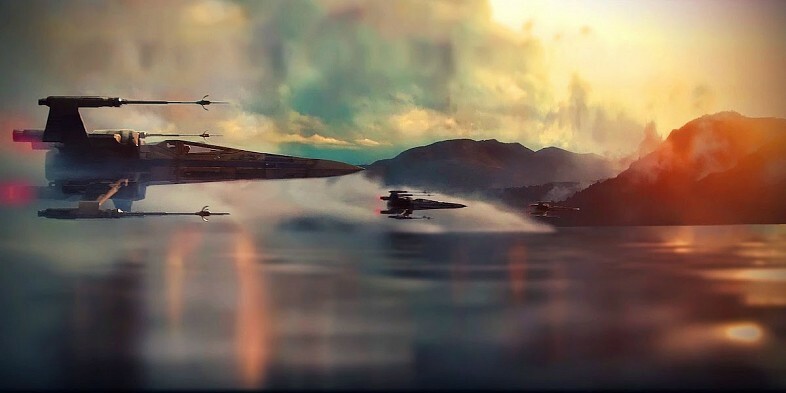 The beauty of Star Wars is its ability to sweep you up in the dazzling flurry, defying your expectations of cinematic experiences, and leave you quaking in its wake, hungry for more; The Force Awakens does just that. Hats off to Disney, Abrams and the entire cast for delivering the most satisfying Christmas present to the Star Wars fandom. The Force is not just awake, it’s alive. Acting was dry, storyline was recycled and the number of close-ups was in the thousands. This movie was fun to watch but doesn’t deserve the praise you’re giving it.